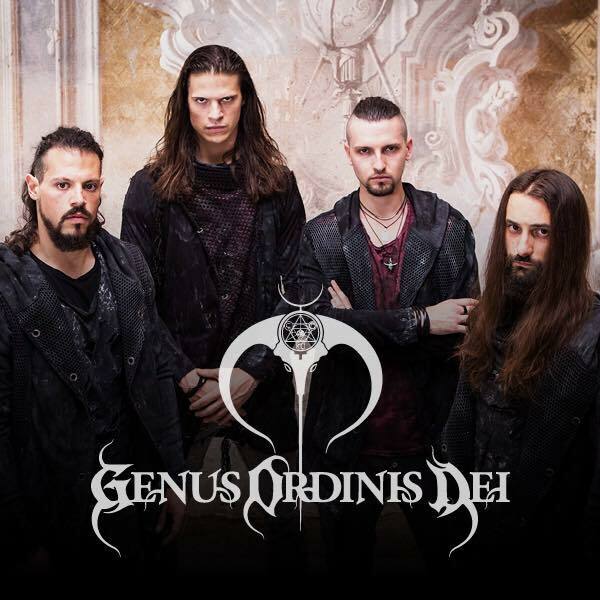 For starters, what bands were you guys a part of prior to Genus Ordinis Dei? How long has the band been around? Later on, we met each other and we started Genus Ordinis Dei back in 2012. Genus Ordinis Dei means Origin/Ancestry of the divine order, and we decided to have a latin name to remark our Italian origins. Back in 2012 the band’s name was just G.O.D. but we realized that would have been too difficult to be found online (we’ll never be more famous than God…) and so we kept the acronym and we used Genus Ordinis Dei as name. Me (Richard) and Tommy are the main composers. For our latest release “Great Olden Dynasty” I wrote most of the songs and lyrics too. The orchestral part is always arranged by Tommy and the lyrics are discussed with Nick who always have great ideas about interpretation and stuff like that. We use to maintain a main topic on our albums which is a reinterpretation of the Bible, and it will be the main theme of every release because we basically want to tell a story. I’d say Lamb Of God, Gojira, Dark Tranquillity and Dimmu Borgir are our main inspiration. But recently I’m listening to Periphery, Architects, Between The Buried And Me and everything in the “modern metal” genre. To me it was Dream Theater. I’m a huge fan of Dream Theater of the Mike Portnoy-era, and my very first concert I attended was of them back in 2002. Nick and Tommy were inspired by Manowar, and Steven by Metallica. Nothing special! I try to eat healthy and not to much, and of course to be sober.30 minutes of warm-up are enough if you know what to do! In winter 2016 we have been asked to play as support act for Lacuna Coil’s Delirium World Tour for an endurance of 31 gigs in the best venues of EU/UK! It’s been a blast!! I’d say Lamb Of God because it’s one of our favorite band! But also Gojira, Slipknot and Dimmu Borgir would be super cool to play with…and of course Lacuna Coil again, because we are close friends of them and they are very cool on the road! Thank you so much for this interview!! Be sure to check out our pages at www.genusordinisdei.com to be always updated on what’s goin’ on! See you guys on the road!